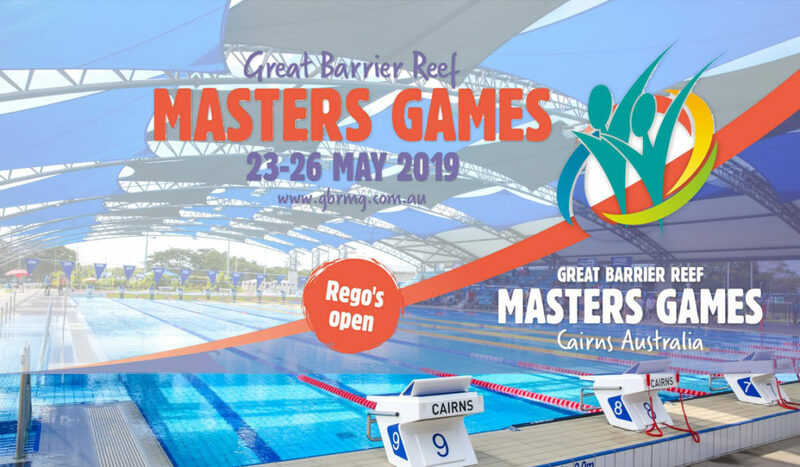 The swimming for the Great Barrier Reef Masters Games 2019 will again be hosted by Masters Swimming Queensland. The event will be held over 3 days, 23 – 25 May and will include 400m freestyle and form strokes. Thursday 23rd, warm up from 1.30 pm, Friday 24th & Saturday 25th, warm up from 7.30 am. Competitors may swim in up to 9 individual events and 3 relay events i.e. a total of 12 events. Further information and entry here. Early bird entries close: 31 March 2019, all entries close 9 May 2019. 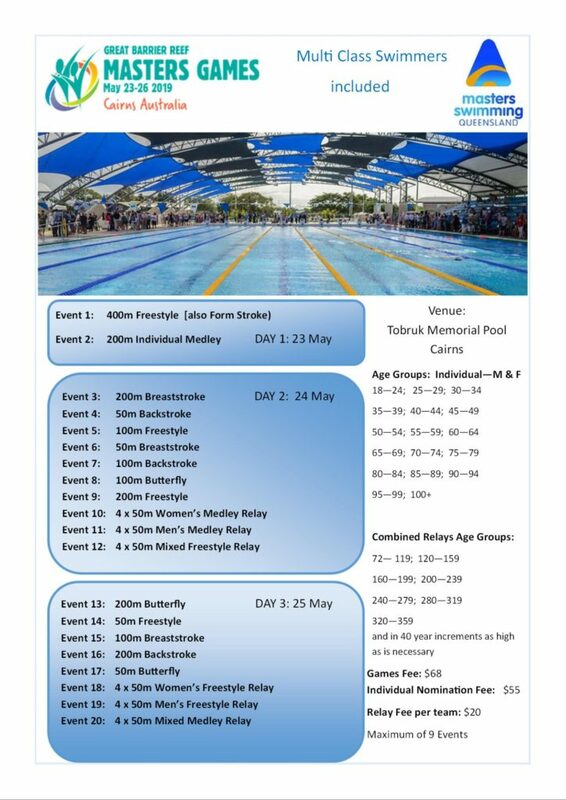 Rydges Esplanade Resort Cairns have offered discounted accommodation and breakfast for all swimmers entering the 2019 GBRMG.